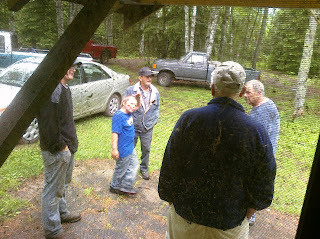 Meeting in the rain with the builder, the septic tank guy and the well guy. Discussing guesstimates on when,where and what would have to be done to upgrade the water system. shag cam view is wonderful.